I didn't even mention the beef or Wensleydale cheese sarnies Rog. But yes his belly was full when he left here. We may go for the new un today. Well there's a circular logic to it. If you spend so much time polishing headers that your wife throws you out, and now you are living in the garage, why, you can shave in the mirror finish of the pipes. That is a beautiful machine, Geoff. Talk about TLC. And I'm sure Richard got one last extra good cleaning and polishing out of you for the pickup. He's got him a good V1K for sure. I can't stop staring at those headers. I may need counseling. Laugh if you like, but when the new DSM comes out, "Header Envy" will be a recognized disorder, and Geoff will be to blame. I guess my insurance will cover the treatment if it's a recognized disorder (which i hope will be a series of fast rides on twisty roads). So perhaps it will all work out in the end. But dang those pipes are shiny. Just sayin'. Hi Towerman and congrats for your acquisition. 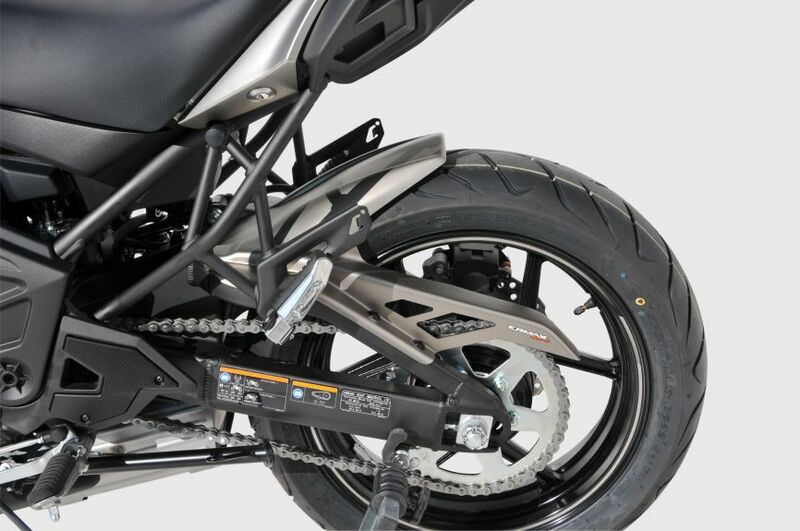 Where come from the chain guard on your 650 Versys seen on the picture beside your V1? Thanks for the answer Towerman. No problem for him there - he's kept his old V650 as a winter hack.